Australand says they will take community views into account when planning works for the former Burwood Brickworks site. The site, which sold for $65 million in May, has been called a “local blemish” by residents has been vacant for 20 years. According to the draft masterplan, the development will include a mix of detached and semi-detached homes, terraces, townhouses and apartments. It will also include a 10,530 square metre shopping centre with a supermarket. Australand development director of built form Renato Calandro said the property group looked forward to engaging with the community during the consultation period, which will close on November 28. 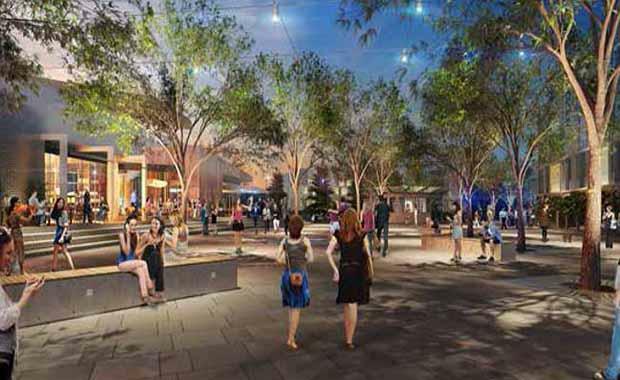 “This development will turn a 20-year vacant site and local blemish into an attractive low-scale residential, retail and open space project,” Mr Calandro said. “We intend that this project will integrate with the existing character of Burwood and provide new local amenities and services for the community. Credit: Herald Sun[/caption]Mr Calandro said Australand was seeking rezoning of the site to Commercial 1 Zone and Residential Growth Zone. Australand hopes to obtain a planning permit by the end of the year and start work next year. The development is expected to take place over eight years. Once community consultation is complete, the council will receive a further report on the proposed masterplan and planning scheme amendment for the site.